Audrey Cooper was named as the Editor-in-Chief of the San Francisco Chronicle. SAN FRANCISCO (KGO) -- The San Francisco Chronicle made history Tuesday by naming a woman for the first time as its editor in chief. Audrey Cooper has been the paper's acting editor since last May. And on Tuesday, the newspaper made it official. She says her priority will be to hire more investigative reporters and she looks forward to hearing from readers about what they want from the newspaper. "Everybody should be so privileged to have a job that everybody thinks they have a view on how you do it and it's an awesome responsibility and one I take really seriously," Cooper said. Cooper started at the Chronicle in 2006. 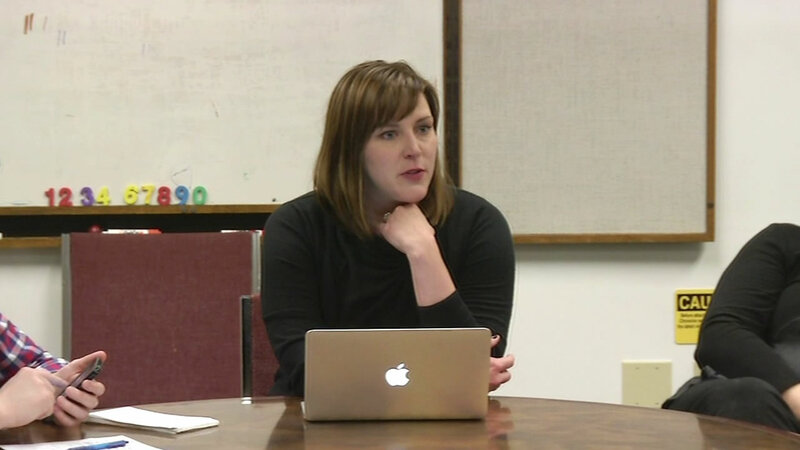 Previously, she worked for the Associated Press, the Tri-Valley Herald and the Stockton Record. Cooper also wants to invest more on SFChronicle.com, which is the newspaper's subscriber-supported website.